Welcome to my new blog! 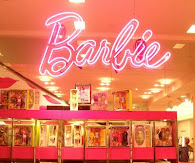 I have a new domain name: http://www.bebarbie.net/ and a fabulous new blog design by my new best friend, seven of Blogs Gone Wild. Both dolls showcased in the header are designed by Byron Lars. They are from his first Barbie series: The Runway Collection. On the left is Indigo Obsession with Plum Royale on the right. 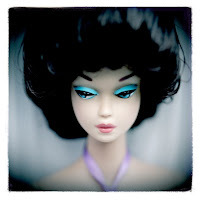 There are two more dolls in the series: In the Limelight and Cinnabar Sensation. Cinnabar Sensation was released in a black version and a white version --- my collection includes both. Photographs don't do these dolls justice; you really have to see them in person to appreciate their beauty and intricate workmanship. I'll introduce you each of them as well as more of my collection. 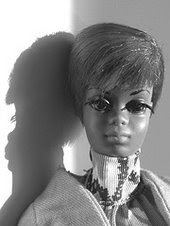 I'll also share some Barbie background information, talk about fashion and introduce you to some women that I think are real-life Barbies. I hope you enjoy it here and will visit often. In the meantime, have a beautiful pink day.